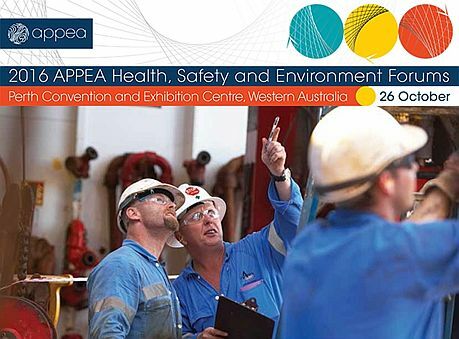 APPEA held its Health, Safety and Environment Forums on 26 October 2016 at the Perth Convention and Exhibition Centre. A Health and Safety Representatives Forum and an Environment Forum ran concurrently. The format combined traditional presentations and collaborative breakout sessions. The HSR Forum built upon the industry’s significant achievements in improving personal safety and process safety. It enables HSRs to engage with their peers and industry leaders. The Environment Forum highlighted environmental issues and opportunities facing the oil and gas industry. It featured industry case studies and innovations, as well as presentations from government, non-government organisations, industry and research organisations. About 150 people attended the two forums. On the following day, several industry safety groups – Drillsafe, Marine Safe, Offshore Project Safe and SafeOps – held a joint forum. This collaborative cross-discipline safety sharing event attracted a further 150 attendees and received strong sponsorship from some APPEA members.